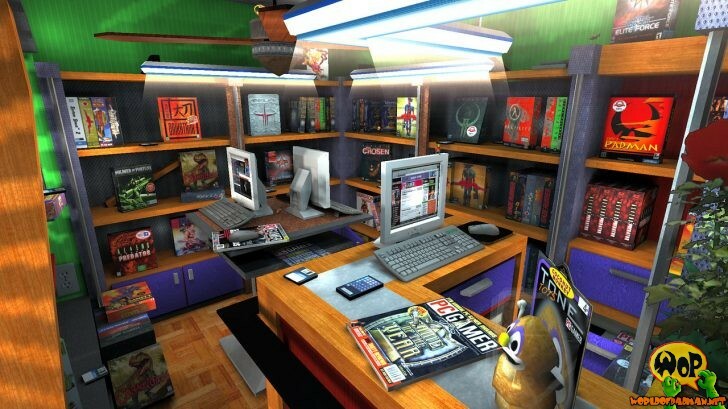 First, ENTE’s PadShop, which is his ninth PadMap and was created on behalf of the American computer games magazine PC Gamer. 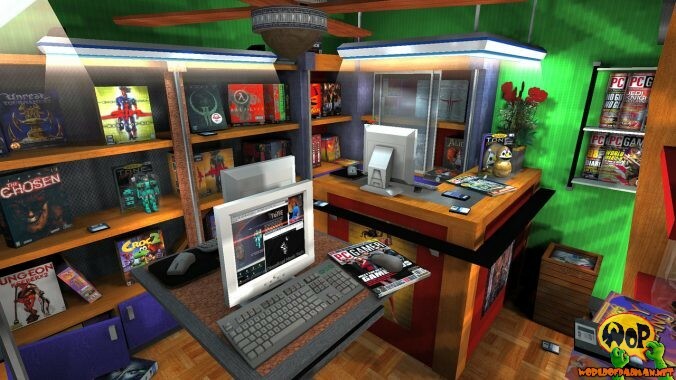 It represents a small computer games shop with a shop counter, walkable shelves and everything that belongs to it. The map contains some gags and hidden areas. Here again, the Swedish band Dieselkopf provides some decent music. It is ENTE’s fourth map with a giants theme, which means that your are not bigger then a grasshopper in there. At the same time it is his last big map for Quake 3 Arena and was released on January 30th, 2000. The version in WoP today, is an indispensable part of the standalone game. Second, PElvis, which comes in many different colors and also provides suitable team skins. 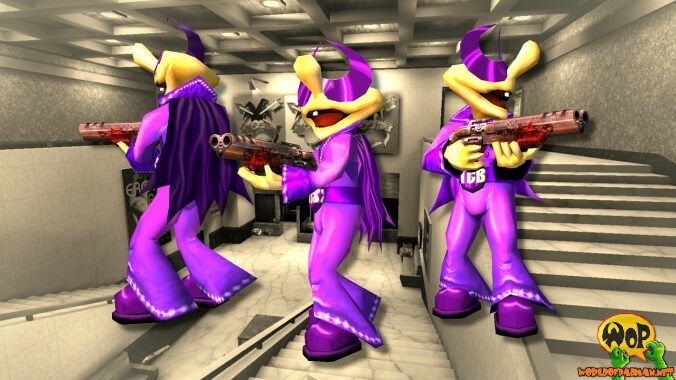 PElvis is an alternative skin for ENTE’s Padman created by milla and it was a contribution to the legendary Padman skin contest back in the days. Initially it was released on June 20th, 2001.